Transparent Crystals In A Wedding Decor. Wedding Arch With Flowers And Crystals. Description: Transparent crystals in a wedding decor. Wedding arch with flowers and crystals. 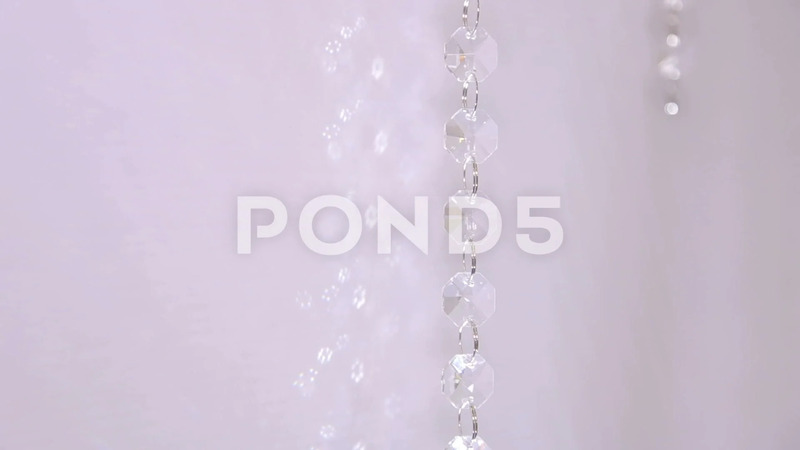 Crystal ornament hanging as a part of wedding decoration on a background of flowers.